In April 1998, Clowns Without Borders Spain traveled to its long-lasting project in Chiapas, Mexico. In March 1998, Clowns Without Borders Spain traveled to its long-lasting project in Chiapas, Mexico. In February 1998, Clowns Without Borders Spain traveled to its long-lasting project in Chiapas, Mexico. In 1998, Clowns Without Borders Spain went to Nicaragua to attend the people who had suffered from the passage of hurricane Mitch. This project was the first one of many linked to natural disaster relief. In August 1998, Clowns Without Borders Spain continued its action in Bosnia following the xar in Ex-Yugoslavia. 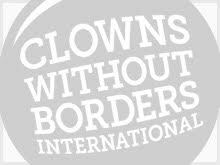 In November 1998, Clowns Without Borders Spain performed for the Palestinian refugees in the West Bank. In April 1998, Clowns Without Borders Spain visited refugees in Western Sahara. 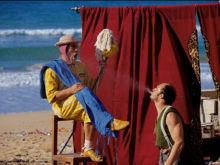 In 1998, Clowns Without Borders Spain created a school of circus in Salvador de Bahia in Brazil, in order to help the rehabilitation of street children.